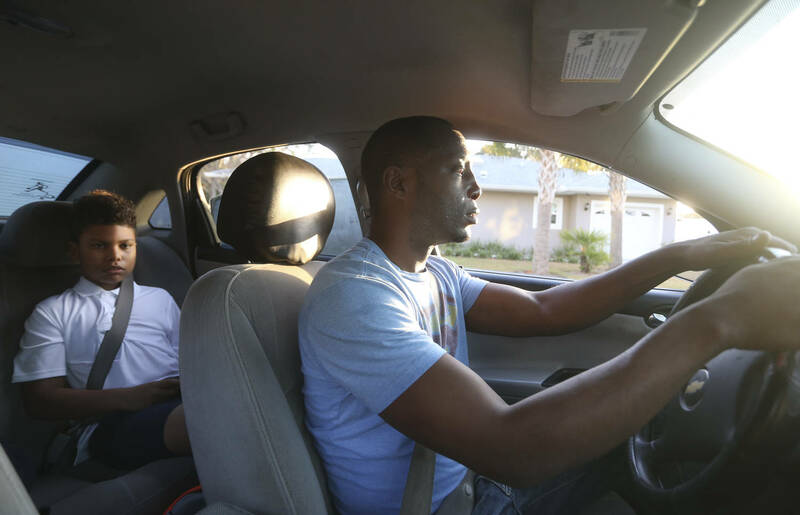 Kids are driving Pinellas County’s car-theft epidemic. It’s a dangerous — sometimes deadly — game. Officers with guns drawn approach three teenage auto theft suspects on McMullen-Booth Road. An infrared camera tracked the stolen Kia Optima as it sped the wrong way, toward oncoming traffic. Two cars approached a Clearwater intersection one August night in 2015. Northbound in a Honda Odyssey, Amanda Hamilton practiced driving with her mother Margaret. 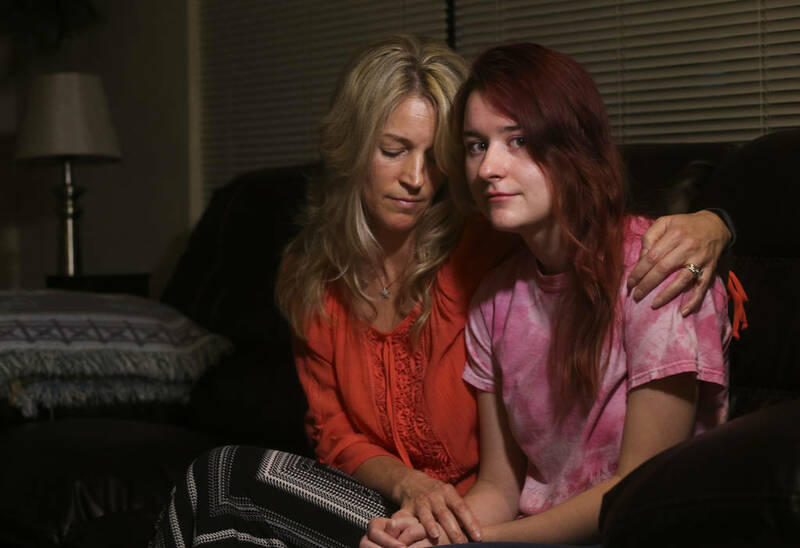 They were on their way home in the family minivan just after 11 p.m. Amanda, 16, was getting her license the next day. Headed west, Dontrell Davis — also 16 — drove friends around town in a Toyota Prius he had stolen that night from a Chinese food delivery driver who left it running. It was the third car he’d lifted that summer, and he wasn’t stopping for anything. Not even a red light. The Prius smashed into the front of the Odyssey, sending the minivan spinning, airbags bursting, debris flying. When it came to rest, the cabin filled with smoke, and the mother and daughter, shaking, worried it would explode. The Prius was flipped onto its crushed hood, a 15-year-old passenger draped out a back window with blood on her face. She was rushed to the hospital for emergency heart surgery. Dontrell had fled. Bruised lungs and a concussion didn’t slow him down. Six days later, he stole another car. A stolen Prius driven by Dontrell Davis crashed into the front corner of the Hamiltons’ Honda Odyssey, sending the van spinning. Amanda Hamilton, right, was practicing driving with her mother Margaret when they were hit in a Clearwater intersection. Every four days, a kid crashes a stolen car in Pinellas County. They blow red lights and fly through stop signs and speed the wrong way on skinny bridges, toward oncoming traffic. They push 100 miles per hour, ram police cruisers and nearly mow down children stepping off a school bus. A stolen Lincoln Town Car almost took out a little boy riding his big wheel on Christmas morning. A stolen Ford pickup T-boned a police car, which burst into flames. 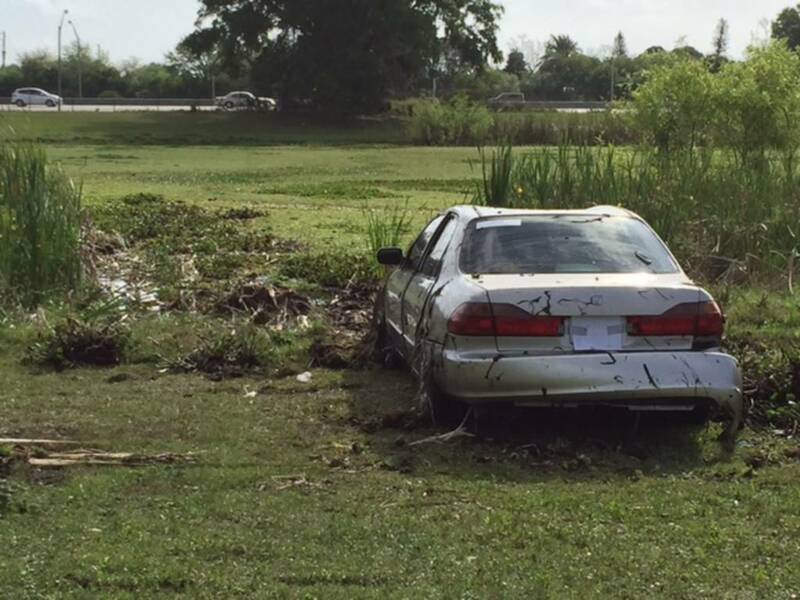 And one year ago, a stolen Honda Accord drove into a cemetery pond and sank to the bottom, drowning three teenage girls, who like many other teens in Pinellas County, had made a sport of stealing cars. Kids here go “car-hopping,” walking neighborhood streets and parking lots, testing door handles until they find an unlocked car with a key inside. The objective of this real-life game of Grand Theft Auto isn’t to sell the car or strip it for parts. It’s to drive fast and show off. Nissans and Fords become dangerous toys in the hands of kids who don’t know how to turn on a car’s lights or put it in reverse. The thieves are as young as 10 and as light as 50 pounds, cranking the seat all the way up, just to see over the steering wheel. Some are not tall enough to ride all the rollercoasters at Busch Gardens, but they floor the gas pedal to max out the speedometer on the dashboard, all while holding up phones to record videos as proof for friends. 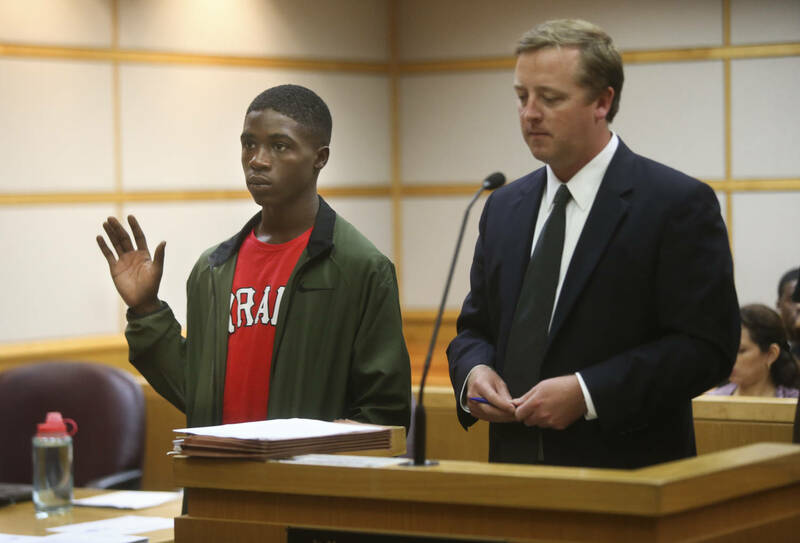 “They call it doing the dash,” 15-year-old Deyon Kaigler, a two-time car thief from Clearwater, told the Tampa Bay Times. The danger has prompted Pinellas law enforcement agencies to devote dozens of officers, a fleet of helicopters and highly trained dogs to catching young car thieves. In 2015, the most recent full year of data available, police in Pinellas made 499 felony arrests for juvenile auto theft, more than any other county in Florida going back eight years, and more than the most populous counties in America, including Los Angeles. 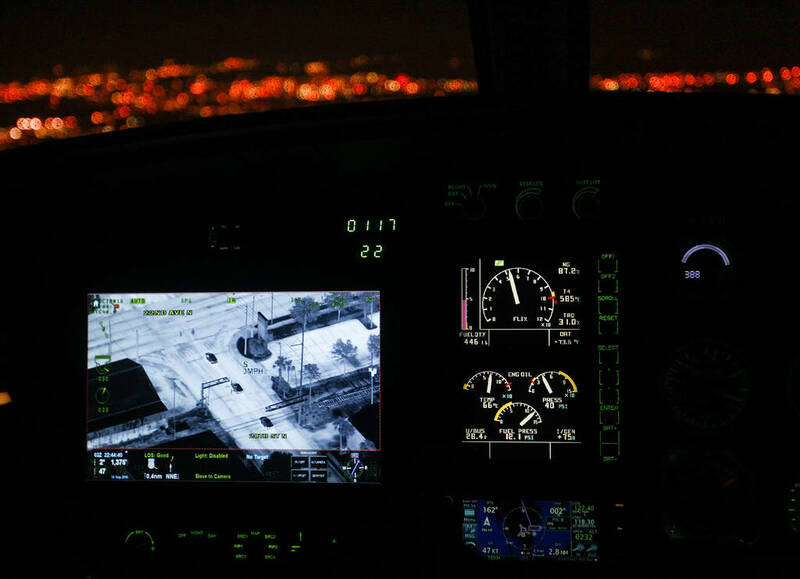 The Pinellas County Sheriff’s Office’s “Eagle” helicopter unit can track a vehicle from the air with its infrared camera. That means that, in Pinellas County, a kid is arrested for this crime at least once per day. In nearly every other county in Florida, most people arrested for auto theft are adults. But in Pinellas County, 62 percent are younger than 18 — the largest rate of juveniles arrested for grand theft auto of any sizable Florida county for at least a decade. The Times sought to understand this phenomenon, reading thousands of pages of police reports; riding along with officers who specialize in this crime; interviewing judges, lawyers and criminologists; and talking with teenage car thieves, their families and their victims. The newspaper built a database containing every juvenile auto theft arrest in Pinellas County for an 18-month period — 742 arrests in all, connected to 529 auto theft cases — and conducted a first-of-its-kind analysis of the danger generated by the crime, as well as the thieves’ methods, motives and social connections. Reporters found that a stunning number of people leave their cars unlocked, often with spare keys in the cup holders, center consoles or under seats. This happened in at least 250 cases — three unlocked cars stolen every week. 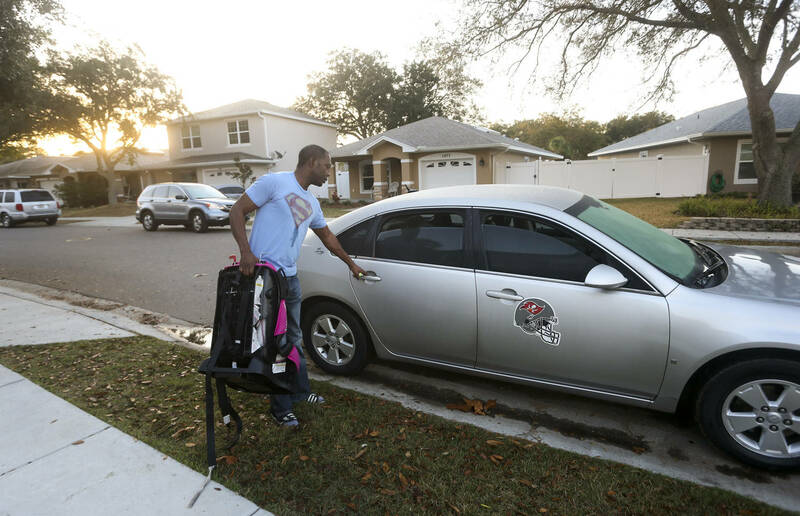 Of more than 500 cars stolen by kids in Pinellas County between January 2015 and June 2016, in cases in which the method of theft is known, a majority was left unlocked. They also found that many kids who take cars have little fear of getting caught, because they don’t expect to get into much trouble. Florida law treats juvenile car theft as a “property crime,” no different from stealing a $300 phone. Even when kids are caught, they rarely spend more than a few hours in detention. They go on to steal a second, third or seventh car. Cops and parents say the law is outdated. The danger to innocent people and the kids themselves has escalated well beyond a “kids being kids” mentality. It’s getting out of control. Teenagers are shooting off the guns they find in unlocked cars. They taunt police, who aim pistols at their heads and chests. Some move on to violent carjacking, emboldened by so many slaps on the wrist. Some die. By the time the three girls drowned in the cemetery pond, they had racked up seven grand theft auto arrests between them in one year. 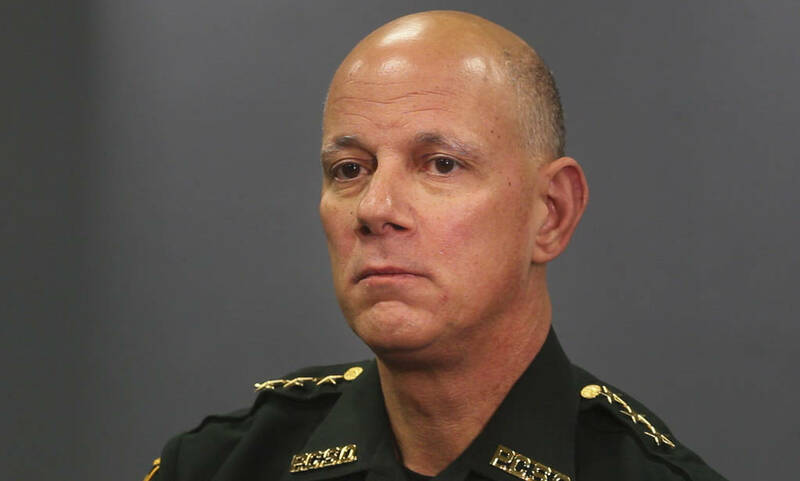 Pinellas County Sheriff Bob Gualtieri called a news conference that day and stood in front of the girls’ poster board-mounted mug shots, hoping their deaths would be a wake-up call. Three girls — from left, Dominique Battle, Ashaunti Butler and Laniya Miller — drowned after they drove a stolen car into a pond at Royal Palm Cemetery. But in the year that passed, stolen cars kept turning up, behind vacant houses and in alleyways and in hit-and-runs. Their fronts were crushed in, their tires were flat and they were riddled with McDonald’s cups, if it had been a good night, or bullet holes, if it had not. 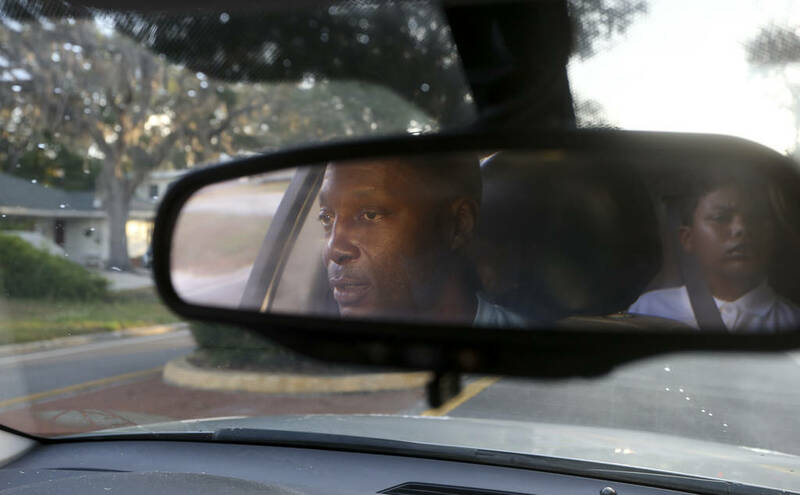 St. Petersburg Detective Tim Brown, who has spent 13 years running down stolen cars, said the problem has never been this bad. He has never seen thieves so young. And he has never been so certain that an innocent person will be the next to die. The first time Allye Arroyave was arrested for stealing a car, she was embarrassed. Not because she had led police on a multi-county chase in a Hyundai Sonata, topping out at 115 miles per hour, crossing medians into oncoming traffic, blowing more stop signs than deputies could count. Allye Arroyave says she was disappointed with her mugshot. Allye stole her first car at age 11. She says she drove it home and showed her brother, two years older, someone she knew took cars. He stacked two couch cushions on the driver’s seat so she could see over the steering wheel, Allye says, and took her to a Publix parking lot to teach her how to drive. Now, six years later, her boyfriend is a car thief. She met him on Facebook. She’s on Instagram, too, where she posed for a photo last year inside a stolen car, with a caption that read “gta squad.” Cops used it as evidence to arrest her. Online, kids share photos of themselves hanging out the sunroofs of stolen cars, wearing key fobs around their necks like trophies. They announce when they’re “on wheels” and trade warnings about cop sightings. Narcs out?? Even when they’re locked up, they’re showered with attention, friends posting on their Facebook walls as though it is their birthday: Free Lil Taliban. Free Tokyo Drift. Free Wildthangg. This is what’s driving the juvenile car theft epidemic in Pinellas, a crime that’s so socially motivated, it spreads through teenage cliques like a virus. Times reporters used a computer program to map out the social connections between kids caught riding in stolen cars together or arrested together in 2015 and the first half of 2016. They found that one sprawling group of kids is responsible for 57 percent of the stolen car cases analyzed by the Times. The kids don’t all hang out in the same group, or hail from the same neighborhood, or go to the same school. But they pile into stolen cars with the same people. And those kids know other kids who steal cars. And those know even more kids who steal cars. Allye, for instance, is directly tied to 19 others mentioned in car theft reports. She was picked up with a boy last May, who was once caught riding in stolen cars with another boy, who was one of the last people to see Ashaunti Butler the night she drowned in the cemetery pond. This massive web, which includes 278 kids arrested for auto theft in Pinellas County, accounts for most of the crashes and the vast majority of gunplay. Almost all of the most prolific car thieves — those arrested three times or more — fall within this cluster. “To have that many youths connected through one type of crime, it shows that it’s socially connected,” said Fox. Last May, Allye stole a $55,000 handicap-equipped van, a man’s only method of transporting his 6-year-old son with cerebral palsy. Allye Arroyave stole a handicap-equipped Toyota Sienna, using it to transport her friends to break into more cars. She later crashed the van. She used the van to shuttle her boyfriend and friend to St. Petersburg neighborhoods where they could break into more cars. Speeding around, Allye crashed head-on into a tree or light pole — she later couldn’t remember which — before ditching the van. It was wrecked. When police found it, the whole front was missing from the hood down. The back windows were smashed. The passenger door was crushed in. Even the seats were broken and cracked. Each dot represents the location of a stolen car for a case that involved kids being arrested for car theft by a Pinellas County law enforcement agency between January 2015 and June 2016. In just one month, August 2015, kids in stolen cars caused at least 15 separate crashes. 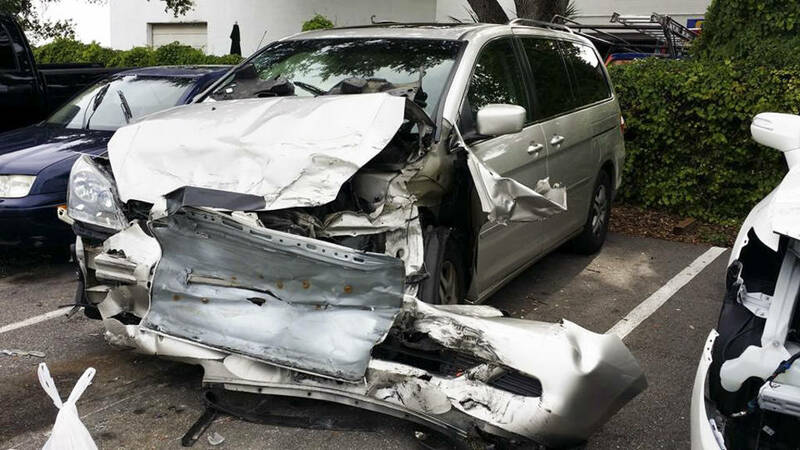 Aug. 3: A 15-year-old plowed into a dumpster outside a Pinellas Park mattress store after driving the wrong way down U.S. 19 in a BMW 740i. Aug. 4: Speeding around Central Park in Largo, a 17-year-old lost control of an Infiniti FX35, crashing into a steel pole. Several of his friends riding in the packed SUV went to the emergency room that night, one in critical condition with crushed lungs, broken ribs and a broken pelvis. Aug. 28: A 15-year-old in a Ford F-150 ran a stop sign in St. Pete Beach, T-boning an unmarked police car, which crashed into a parked car, prompting both to catch fire. The officer inside had to be treated for pain in his back and chest. The Times analysis of 18 months of arrest reports turned up 137 documented crashes involving juvenile car theft suspects, although the number is higher — it doesn’t count the kids who weren’t caught, or the crashes nobody witnessed. Nearly twice as many cars turned up with damage. Kids behind the wheels of stolen cars injured themselves or others at least 44 times. Typically, the thieves and their passengers emerged bloody or bruised after slamming into a house or a tree. But innocent people sometimes got caught in the way, like a 68-year-old Clearwater man sent to the hospital after a car full of kids ran a red light and flipped his SUV. The kids were speeding away from police who had turned their lights on, trying to flag them to stop. In at least 100 cases examined by the Times, cars fled at high speeds after spotting police. Although Pinellas law enforcement agencies generally aren’t supposed to chase stolen cars unless they know the driver has committed a violent crime, just the sight of a cruiser could cause a kid to screech his tires and take off. On the evening of Memorial Day 2015, Melvin Sturgis and two friends were stuck in traffic in front of Crabby Bill’s, heading toward Clearwater Beach to check out girls. A police officer on a bicycle rode up to the stolen Honda CR-V and ordered Melvin and his friends to roll down a window. Sgt. Rodney Johnson stuck his arm through the window, instructing Melvin to turn off the Honda. Instead, the 16-year-old floored the gas pedal, the sergeant’s arm caught in the car. He dragged Johnson for several feet before fleeing toward Clearwater, driving the wrong way on Causeway Bridge. Eventually, Melvin lost control on a quick turn, and the CR-V crashed into a set of concrete stairs, flipping until it landed on its side. The impact was so violent that the front passenger’s forehead broke the windshield. Police had to pull Melvin and his friends from the burning car. Later, sorting through the wreckage, the strewn-about sneakers and Diet Pepsi cans, they found guns — a .40-caliber Smith & Wesson on the floorboard and a 9mm Kel-Tec in the pocket of a passenger door, pointing upward. Neither gun had been in the car when it was stolen. Both had rounds in the chambers. “We’re seeing these kids, young people, in these stolen cars that are running from us every single night,” says Pinellas County Sheriff Bob Gualtieri. Late one night in 2011, St. Petersburg Police Officer David Crawford confronted 16-year-old Nicholas Lindsey, suspected of trying to steal a car. The teen had a gun. He shot the officer five times, killing him. This case is never far from the minds of Pinellas officers and deputies as they pursue teen car thieves, aware of all the guns floating around in stolen cars, either found inside or swiped from others left unlocked. Guns showed up in at least 52 of the recent car theft cases examined by the Times. Kids found everything from pistols to assault rifles in the cars they stole. 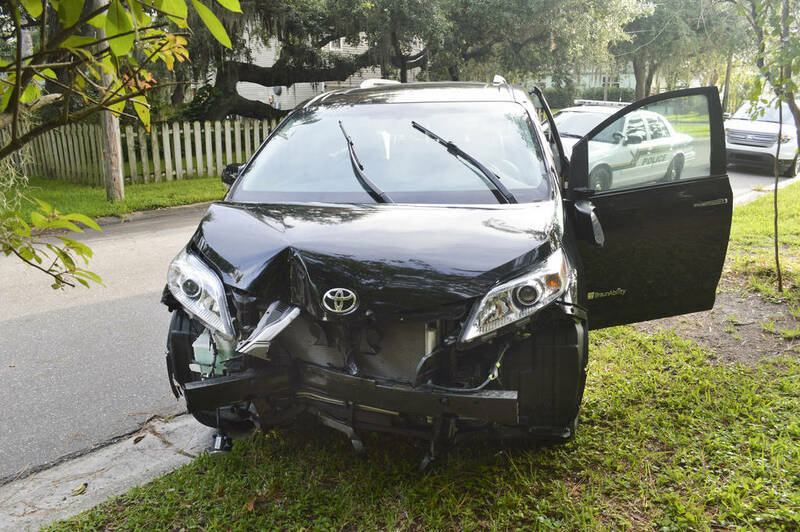 In January 2015, a Lexus stolen off of Coquina Key was found the next day dotted with bullet holes, the passenger’s side window completely shot out. The night after Christmas 2015, another stolen Lexus was shot up by teens in a stolen Nissan Altima. As Jaquez Jackson, 17, lay bleeding and dying in an alley, his friend used a T-shirt to wipe the stolen Lexus clean of fingerprints. And in May 2015, gang members with a gun in a stolen Mazda CX-7 chased members of a rival gang in a stolen Chrysler 200 onto Interstate 275 North, shouting “Get that car, bro, get that car!” The gun was stolen out of a third unlocked car a month earlier. Police go into confrontations ready to draw their guns. 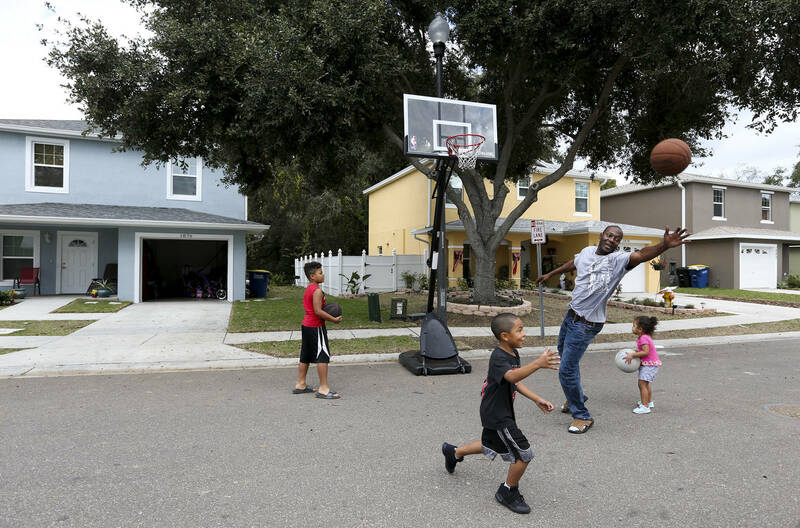 In dozens of cases, officers in Pinellas were a trigger-squeeze away from shooting a kid, as simple arrests veered toward frightening standoffs. “(I) pointed my firearm directly at center mass,” a St. Petersburg police officer wrote in a report, about a teen who reached for the head of a K-9 dog that bit him. “I’m only 14!” the teen yelled. In October 2015, 14-year-old Trey Davis rammed a Pinellas Park police cruiser. The officer got out with his gun drawn, later noting he feared for his life, and told Trey to step out of a stolen Hyundai Elantra. Trey ignored him, instead reversing and speeding around the cruiser down the street. Hours later in Tampa, in an unrelated case, Kobvey Igbuhay and three other teens ran into a wooded swamp after being spotted in a stolen car. A Tampa police officer said he struggled with the 18-year-old from St. Petersburg and was in fear for his life when he fired a fatal shot to the teen’s head. There is a sense among law enforcement that it is only a matter of time before another one of these confrontations turns deadly. Alexander Hannah’s two boys were in the back seat when his idling Chevy Impala was stolen at a Clearwater gas station. Even without guns, car thefts can quickly escalate. Alexander Hannah was driving his sons home from basketball practice when he stopped at a Citgo in Clearwater to buy phone chargers. 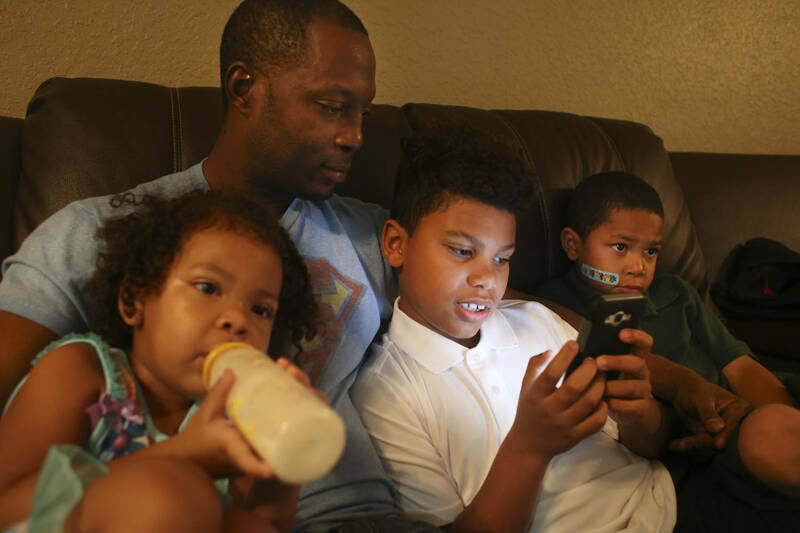 His 8-year-old son, Trinzel, was playing on his new phone in the backseat; 4-year-old Asante was fast asleep. Hannah said he never leaves his car running with the kids inside. But he didn’t want to wake Asante. The second Hannah entered the Citgo, a 15-year-old car thief named Roderick Davis Jr. hopped into the Chevy Impala, and drove off with Hannah’s young boys still in the backseat. Roderick pulled the Impala off the road behind an apartment complex, Trinzel says, and snarled at the boys, “Get out of my car.” Trinzel fumbled with the lock and his little brother’s booster seat. The boys held hands as they ran along the street, looking for their father. Trinzel, now 10, still breaks down in tears when he remembers that night. “I didn’t know if he was going to kidnap us and take us somewhere, like throw us into a ditch or something, or if he was just going to kill us right then,” he says. 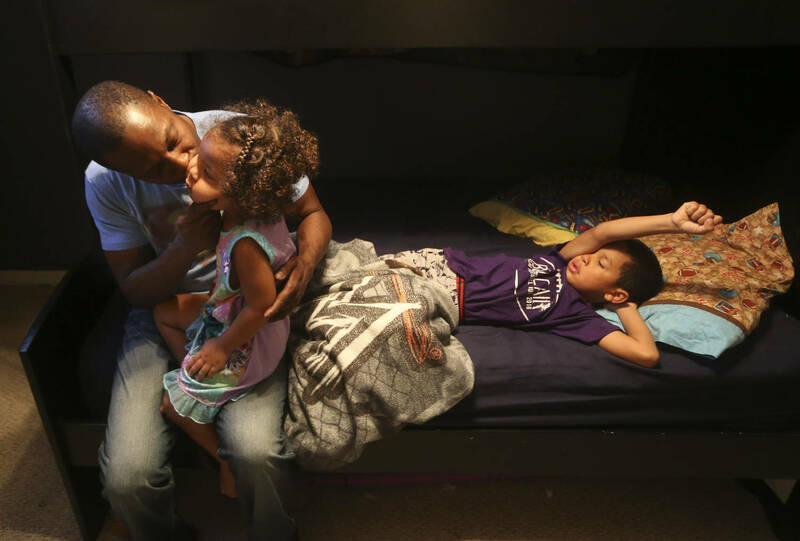 Alexander Hannah, center, plays with his kids, from left, Trinzel Lewis, 10, Asante Hannah, 6, and Mimi Hannah, 2. Alexander Hannah prepares to install a child seat in the car before taking the kids to school. Alexander Hannah drives his Impala with his son, Trinzel, in the back. Alexander Hannah kisses his youngest child, Mimi, 2. Almost two years later, the Hannah family still feels traumatized by the auto theft. Some of these car thefts turn violent — like the one Dontrell Davis committed six days after he crashed into the Hamilton family minivan. On Aug. 23, 2015, a woman was filling up water bottles in a Papa John’s parking lot when the 16-year-old went to steal the Hyundai Elantra she left running. She saw him, but when the 55-year-old woman yelled at him to stop and ran up to him, Dontrell shoved her to the ground so hard she broke her arm and busted her lip. The teen nearly ran her over with her own car as she lay on the pavement, screaming for help. Two months after that, an elderly woman walking her Yorkie was attacked by a group of car thieves in her gated neighborhood. They pushed her into her walker and snatched her keys from her pants pocket. Pinellas County Sheriff’s Deputy Tom Randall of the Vehicle Burglary Prevention Program walks through a parking lot checking for unlocked doors. Why has stealing cars become so popular in Pinellas County? It’s a question that has everyone stumped. In 1990, St. Petersburg police claimed to have traced one rash of car theft to its origin: A 14-year-old boy with a trick for starting General Motors cars with screwdrivers had moved down from Ohio. He taught a few kids, who taught a few more. “There’s the beach environment here, you know, there’s a lot of tourism that happens here, and there’s kind of a laissez-faire attitude about St. Petersburg,” said the Rev. 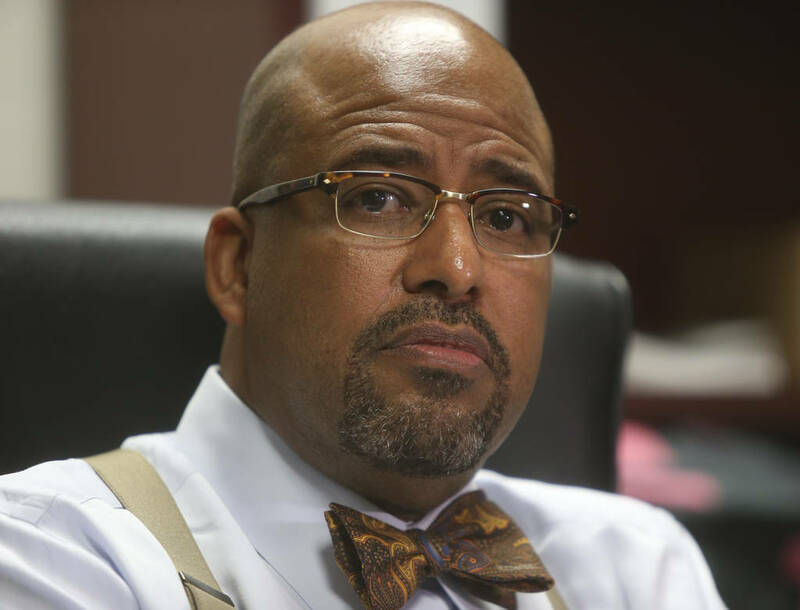 Kenneth Irby, pastor at Bethel African Methodist Episcopal Church in St. Petersburg, who was hired by the city as a liaison to at-risk youth. He laughed, remembering that he had gone to the dry cleaner that morning, and a woman jumped out of her car, leaving it running with her purse sitting on the seat as she waited in line behind him. He wonders if this kind of laid-back, west Florida culture is colliding with opportunism in kids who are poor. Pinellas is the most densely-populated county in Florida, with areas of poverty within walking distance of affluent ones. It’s also difficult to get around the county using its public transportation system, which is among the worst in the nation; in several police reports, kids said they stole a car because they needed a ride. It’s clear from the records that the growth in arrests is happening primarily among the black population. The number of white kids getting arrested has remained about the same since 2011, but the number of black kids has almost tripled. In the 2015-16 fiscal year, according to Department of Juvenile Justice data, 69 percent of kids arrested for car theft were black, though black residents make up only 11 percent of the county’s population. This steep climb, and stark disparity, doesn’t exist in arrests for other common juvenile crimes like assault or misdemeanor drug possession. Not one of the dozens of people interviewed by the Times, including the kids, their parents, community leaders and Pinellas-Pasco Public Defender Bob Dillinger, allege racial targeting. In many cases, cops find physical evidence on cars that leads them to suspects, or see the car listed on their “hot sheet” before they see the driver. Gulfport Police Chief Robert Vincent — himself a victim of car theft — said it’s possible that kids in Pinellas steal more cars because they know police won’t chase them, forbidden by a policy that considers chases a threat to pedestrians and innocent drivers. Clearwater Police Chief Daniel Slaughter said he supports the policy, but it often leads to frustration for officers on the street. 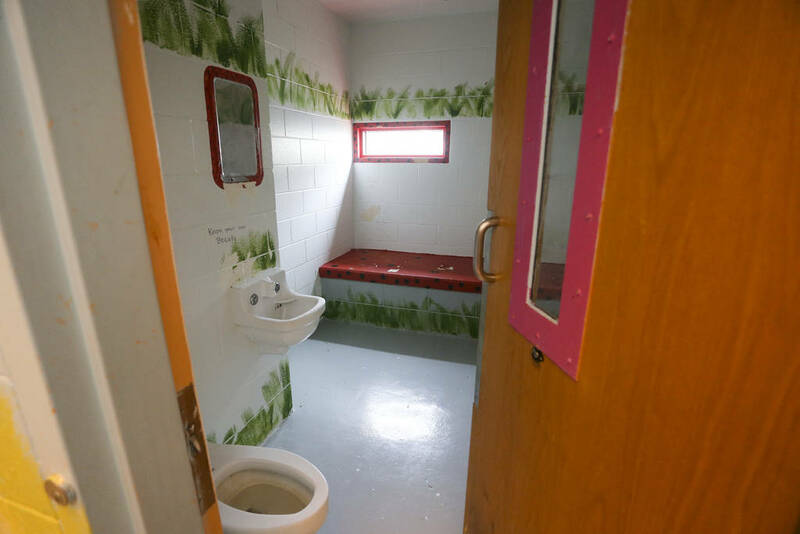 Teens sent to the Juvenile Detention Center stay in rooms like this one. They’re assigned a mattress and sheets upon arrival. In March 2016, Jadyn Im was arrested for stealing a Toyota RAV4 from Palm Harbor. It was his fourth grand theft auto arrest in three months. He served 21 days at the Pinellas Juvenile Detention Center and was released home. Less than a week later, the 15-year-old stole a Toyota Camry. “What’s up, man?” Jadyn asked the deputy who came to arrest him. He was drinking a soda and holding a bag of sunflower seeds, a sweater tied around his waist. Kids aren’t afraid of getting caught for grand theft auto. They know that the Florida Department of Juvenile Justice’s point system, which evaluates a child’s risk to society, will rarely hold them in detention for more than a few hours: It takes 12 points to hold a kid after an arrest. A first car theft charge gets zero points. A juvenile could steal two cars in the same month and not get held. They also know that, even if they do get locked up, they won’t serve longer than the Florida statute’s limit of 21 days before their charges are resolved in court. They’ll do that time at the county’s Juvenile Detention Center, or JDC, a facility that is more stable and comfortable than some of the kids’ own homes. Kids have their own rooms there, painted with ladybugs and inspirational quotes. They get clean clothes and eat three meals each day — whole grain pancakes and sausage links for breakfast, chicken wraps and fresh fruit for lunch, beef chuck roast with baked potatoes for dinner. There is always dessert. 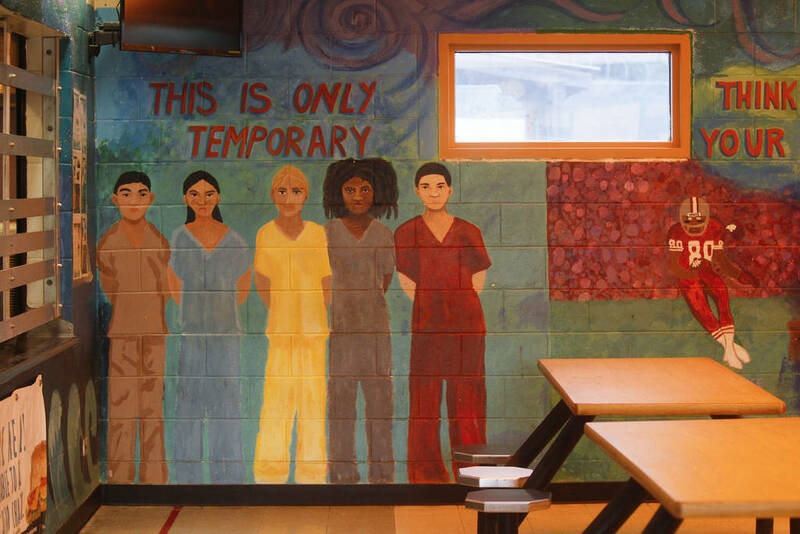 Murals with positive messages are meant to inspire detention center residents. Many kids spend less than the maximum 21 days in JDC before they’re sent home. They are often handed probation or “diversion,” going free with conditions like mental health counseling, substance abuse therapy, curfews and community service. Some are sentenced to months at residential programs, but aren’t transported right away. They’re told to wait at home for a bed to open up. 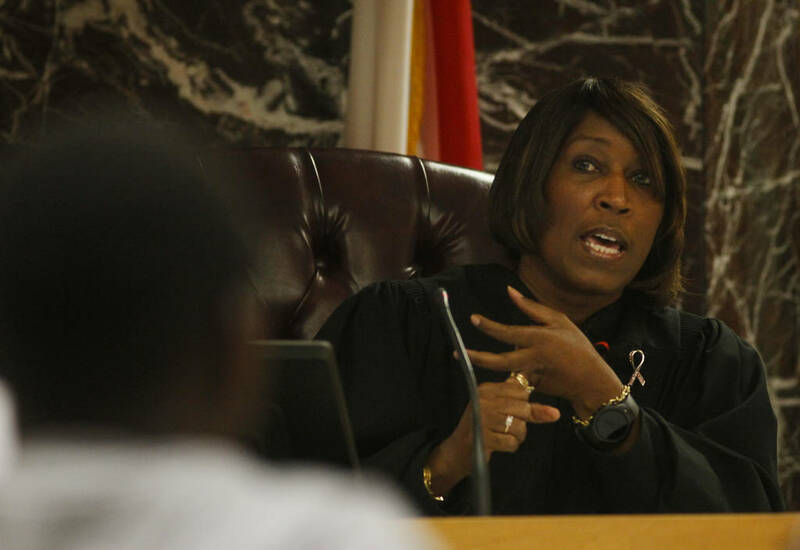 It’s understood by all the players — the kids and their parents, the cops, the lawyers, even the judges — that Florida’s justice system is designed to go easy on juvenile car thieves, giving them little reason not to steal another car as soon as they’re out. One-third of all kids arrested in the period examined by the Times, a total of 165, were arrested again; dozens of those were arrested four or five times; a handful, six times. Dontrail Jackson Sr. said he wishes his son would have received more consequences after police caught him in a stolen Kia Optima in September. As they tried to get away that night, Dontrail Jr. and his friends drove the wrong way on the Bayside Bridge, reaching speeds of 120 miles per hour. The 17-year-old was in and out of JDC. Three months later, he pleaded down to trespassing and was sentenced to probation. 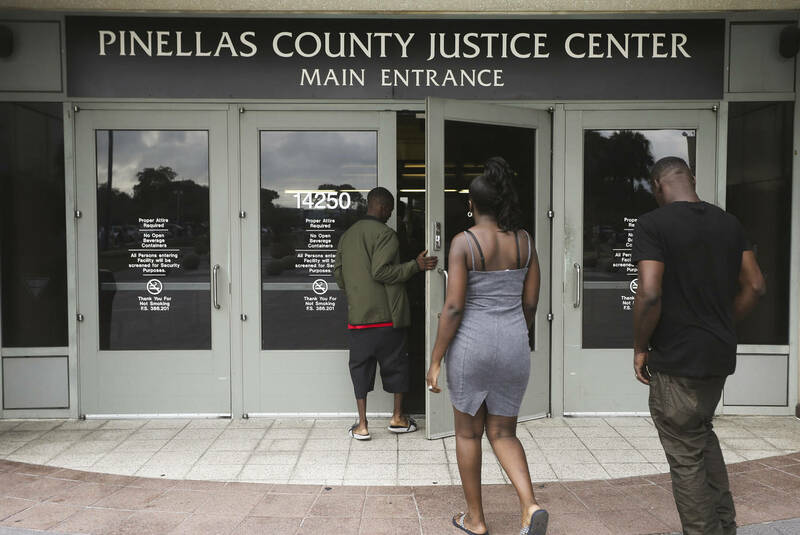 Dontrail Jackson Jr., wearing flip-flops, enters the Pinellas County Justice Center for his hearing. His parents follow. Dontrail Jackson Sr., center, eats breakfast with his daughter, Alexis, and son, Dontrail Jr., at their home in south St. Petersburg before heading to a court appearance. Dontrail Jr. was a passenger in the stolen Kia Optima pursued by the sheriff's office helicopter on McMullen-Booth Road. 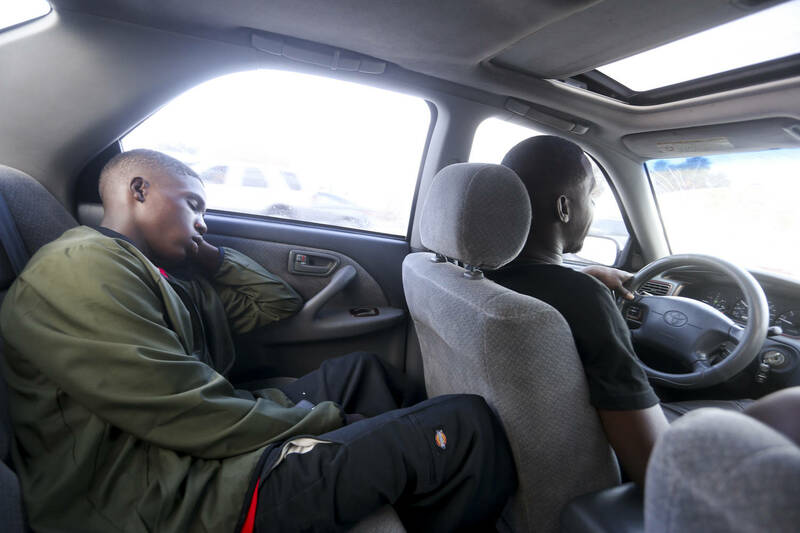 Dontrail Jackson Jr., left, naps briefly while his father drives them to court. Dontrail Jackson Jr. is sworn in at the beginning of a hearing. Luis Herring Jr. says he’s sorry. For driving over a woman’s foot as he stole her car. For stealing 30 cars in three years. He had been let off so many times that he didn’t think this one would be any different. But, like an increasing number of teens in Pinellas County, he wound up “direct-filed” into the adult system by prosecutors. 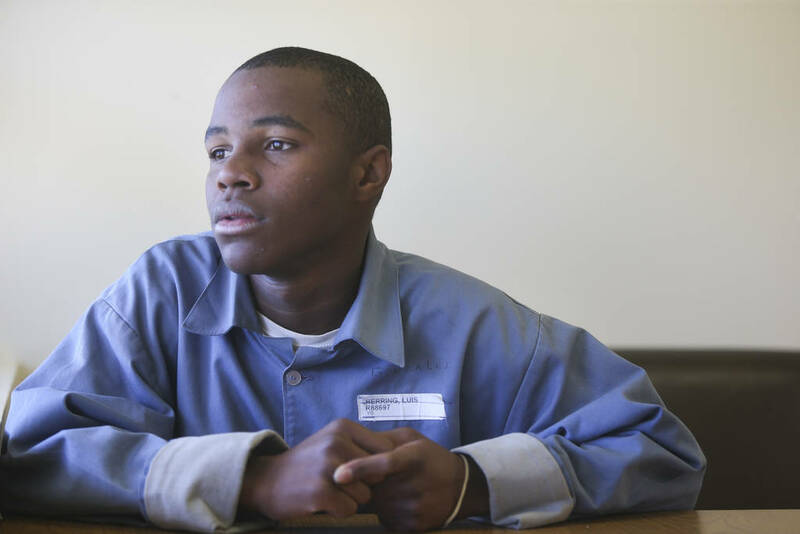 Luis, 16, sentenced to spend the next four years in prison, agreed to an interview with the Times. He wanted to tell his story to get the kids still out there to stop. Luis Herring was convicted of carjacking in February and sentenced to more than four years in state prison. Six arrests didn’t stop him. Nor did the death of his friend Dominique Battle, one of the girls who drowned in the cemetery pond. He saw a woman pumping air into her car tires at a St. Petersburg Wawa. As he jumped into the driver’s seat, he didn’t expect her to try to stop him. He threw her to the ground, driving over her foot as he peeled off. “Say somebody stole your mama’s car... steals their car, tears it up, breaks it down. Leaves (cigar) guts inside of it. Ashes and weed and s‑‑‑ like that… Now she don’t got a way to work to feed you and your brothers and sisters. Word has gotten to Luis, from others behind bars, about one kid in particular. He is gaining notoriety on Facebook, all over Snapchat, even on the TV news, for scamming an 89-year-old man out of his car. Luis met him once, a short little kid, “a damn crook.” Luis says he went after him — car thief chasing car thief — when the boy stole his friend’s sister’s Hyundai Sonata and ditched it after crashing. He doesn’t know this kid’s real name. Just that he’s young. Maybe 13. He asked reporters, Have you ever heard of terrible T‑Man? See more videos about Pinellas County’s youth auto thefts, the justice system that allow them to be repeat offenders, and more. One of Pinellas County's most notorious car thieves is 13. And he already has years of experience. ► The easiest way to get your car stolen. ► They had just gotten their cars back. Then, it disappeared again. ► How the juvenile justice system works — and doesn’t — when it comes to car theft. ► Wrong Way: At 15, Isaiah Battle was county’s No. 1 car thief. He had every reason to stop. Through public records requests of 10 law enforcement agencies in Pinellas County, the Tampa Bay Times obtained a report for every juvenile arrest for grand theft auto from January 2015 through June 2016, and used the reports to create the most comprehensive database to date of this crime in the county. Reporters recorded every suspect, every victim and every car. They analyzed details of each case, from how a car was stolen, to whether it was involved in a crash or a police pursuit, to whether the suspects stole it from someone they knew or a stranger. They created a spreadsheet of every person involved in a car theft, including passengers of the juveniles arrested. They used a specialized computer program to map connections between the people, after first consulting with experts in social network analysis. The Times gave the data to Andrew Fox, a California State University professor who specializes in juvenile crime and social network analysis, who independently analyzed it. Reporters compiled arrest data from the FBI’s Uniform Crime Reporting system to compare the raw number of arrests in Pinellas County to other places in Florida and across the country. The Times was unable to obtain data from Cook County, Ill.
Reporters spent eight months interviewing those closest to Pinellas County’s car theft epidemic, including teenage car thieves, their families and their victims. They spent days in juvenile court and nights in police cars on ride-alongs. They interviewed police chiefs, judges, state leaders and experts on juvenile crime. As a matter of practice, the Times takes great care in deciding whether to publish the name of a juvenile charged with a crime. In a number of cases in this series the Times has published the names of even young juveniles. In making those judgments, the newspaper considered the child’s age, number of convictions, severity of crimes and whether a parent or guardian was present for an interview. 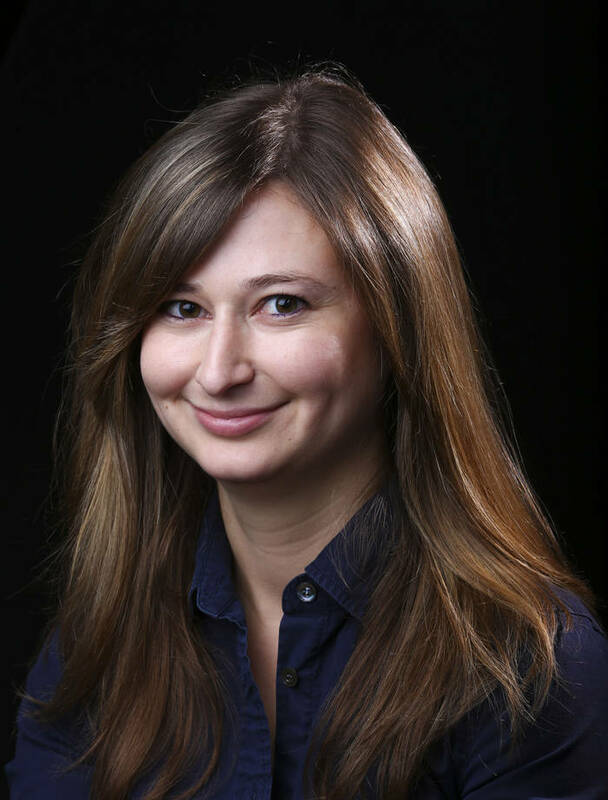 is a Times reporter who covers crime and breaking news in St. Petersburg. His 2016 investigation into Walmart’s costly practice of using local law enforcement officers to police its stores garnered national acclaim and led to reforms. Contact him at [email protected]. 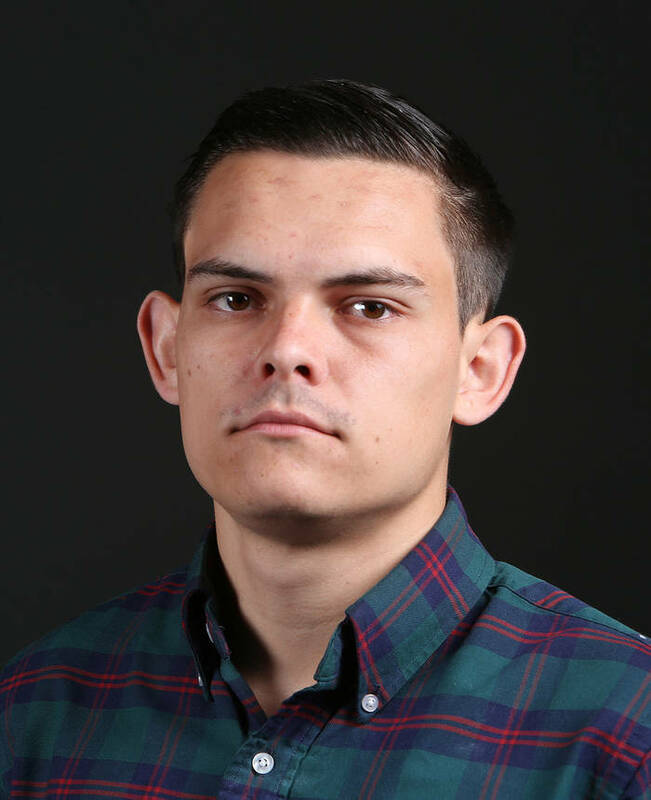 is a reporter on the Times enterprise team. She won a Pulitzer Prize in 2016 for an investigation that showed how a neglectful school board turned some Pinellas County schools into “Failure Factories.” Contact her at [email protected]. 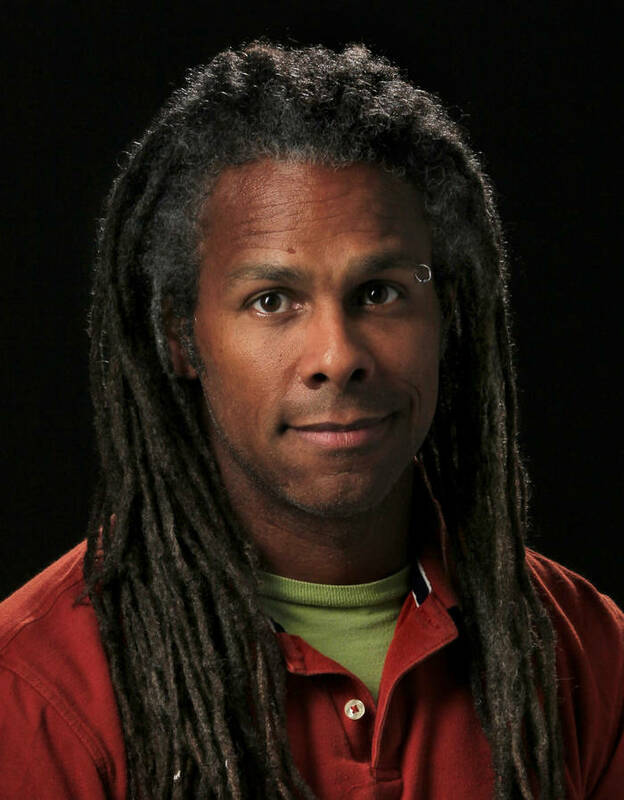 is an award-winning photojournalist whose work includes “Failure Factories.” He has spent more than 18 years covering Lightning hockey. Contact him at [email protected]. Follow @dirkshadd.